she reached out blindly with both hands, eyes shut tight. her heart was hammering so wildly against her chest, she couldn’t breathe. two hands, with slightly calloused skin, warm, sure, caught hold of hers on either side. long fingers interlaced with her trembling ones and held on. she felt the breath caressing her ear glissade to her left cheek. it floated there for an age… or was it a tiny little nanosecond? searing, lava hot… and the breath came nearer still… burning. a distance was bridged. was it the stretch between sky and earth or the infinitesimal gap between flesh and breath? lips pressed against her skin, moist, gentle yet urgent… and a sound. what was it? her ears seemed to want to catch and keep it forever. her eyes widened as the sound echoed and the warmth against her cheek pressed in, the moistness penetrating her skin, reached her heart. a kiss. arnav ji had just kissed her on her cheek! but before that, he had said… said… khushi couldn’t breathe. she went still, though not before a breath rose from an unknown place within and escaped her lips, and came out sounding like a whimper. asr was instantly alert. he let go of her hands, held her by the shoulders and strained away, peering to see her face. “tum theek ho? !” he asked, his voice worried and yet still husky, breathy. “theek hai,” payal walked away from the sitting room and bua ji’s sudden interjections. she could feel her palms go slightly moist, there was something in akash’s voice today… it felt different. or was it that she wanted to… yes, wanted to… go on a date with him? she remembered how lovely it had felt to go to the temple and other places in bali with him that time they had gone out… of course, khushi was with them. “now!” came his prompt reply. akash was smiling widely. he had expected a struggle, some persuasion and coaxing, but it looked like payal was getting as eager to meet him as he was to see her. “shall i come and pick you up in… say… half an hour?” he asked, pushing his spectacles up with his forefinger, eyes twinkling. he was planning already where he would take her… what he would say. “n… no… amma and bua ji… everybody is busy with preparations for the wedding, i think it’s best that i come and meet you somewhere outside…” payal murmurred hesitantly. “okay, come to the temple, i’ll pick you up from there…” said akash, elated. payal smiled shyly and wished she could find something to say, she did like to hear akash’s voice and her heart for some reason was a little unsteady today, her mind restless. “i’ll see you soon,” akash’s voice was tender, then after a pause he said something, but payal couldn’t hear him clearly. only a slight gurgling sort of noise came through the airwaves. what was the matter? “akash?!! akash ji… aap theek hain?” payal asked, instantly concerned, her voice rising a bit. billo mausi had just walked out to sit in the verandah and watch the world go by, she paused with a curious frown when she heard payal, her ears wide open. payal’s eyes widened, her breath came rushing out, “sweetheart!” she whispered back but in absolute amazement with a hint of sheer shock. she didn’t realise she had not really whispered but squeaked and wide open ears can hear even a breath. especially ears trained rigorously for years to catch all sound. “bye bye, handsome!” payal’s voice broke into his self recriminations. his jaw dropped. she was laughing and there was something in her voice… it made him want to run out and get into his car, drive over fast, not lose the moment, a moment. billo mausi almost collapsed on the chair, thankfully she was standing before one. what was this world coming to!! even payal bitiya! she picked up the pallu of her saree and started fanning herself violently. after a while, her lips pouted a bit and broke into a smile. she shook her head slightly, posing, her eyebrows danced a couple of up downs… she must ask rajat ji to call her that, thought billo mausi. of course, only when no one was around. she was not besharam after all. “what! what’s wrong, khushi!” asr grasped her shoulders tighter. khushi winced. her left shoulder hurt, where he had grabbed her earlier in the car. he frowned and looked at it, he’d felt her flinching. carefully, he pushed aside the kurta. three red marks stretched across her ivory skin… he stared, realisation dawning. he had left those marks there. “khushi!” he mumbled, feeling a sensation close to agony. “you are…,” his eyes moved to her face, remorse already shading the brown, darkening it. khushi watched mesmerised. her lips quivered as she looked up at him, her eyes were misty and her slightly open lips gave her cheeks an innocent contour. hey devi maiyya! what had arnav ji… a fat plush perfect tear decided to spring forth just at that instant not letting her complete her thought. it balanced on her lid for a precarious moment and then fell over. 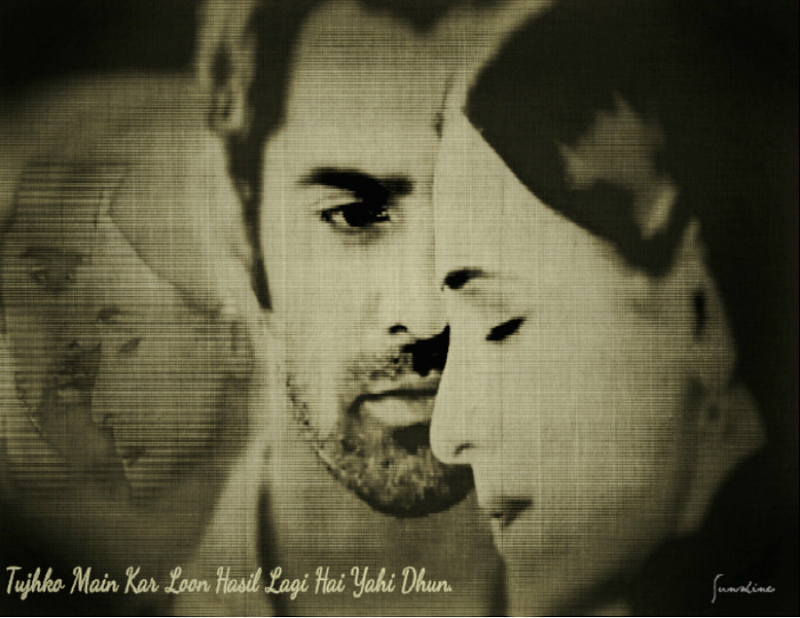 “nn… nahin, arnav ji… woh baat nahin hai…” khushi said, tremulous and lost. he glared at her sharply. his lips tightening. what was the matter with her? he could not bear to see her eyes filling up… and how could he be so rough, dammit! he stayed watching her in silence for a moment. he had quite forgotten about winning, about the deal… about not letting her love anyone else… he just wanted to make the tears disappear. now. he should not have asked her to go to chandni chowk really, maybe she didn’t get time to eat in all the buying and now she was in this state. obviously, in his worry arnav singh raizada had completely forgotten khushi had gone to his home for lunch and there really was no question of nani ji or di letting her leave without plying her with enough and more food. asr’s eyes had begun to clear hearing her sound like herself again, but when khushi heard what she was saying, she again stopped, her eyes grew round… she remembered why she had eaten so many of those delicious juicy crunchy… now her expression began to grow dreamy. “khushi, stop dreaming of jalebis and tell me what was di telling you… and what’s that got to do with the… uh… jalebis?” he was beginning to sound confounded. this girl was surely going to drive him mad, he thought; and why did he not even mind that. he shook his head, waiting for her answer. “my fault? how, khushi? i wasn’t even there…” asr sounded brusque. it had been almost ten minutes of confusion and worry and arnav singh raizada was losing his patience. khushi glanced up, startled by the roughness and looked straight into brown eyes beginning to blaze. she watched as the fire leapt higher in them and higher still. jwalamukhi… said her mind, and a smile made its way to her lips. her acidity was tripping her heart rate to dangerous levels but she didn’t care. she raised her hand and let it land lightly on his temple, then she stroked his cheek, enjoying the graze of his bristly stubble, the firmness of his taut skin. 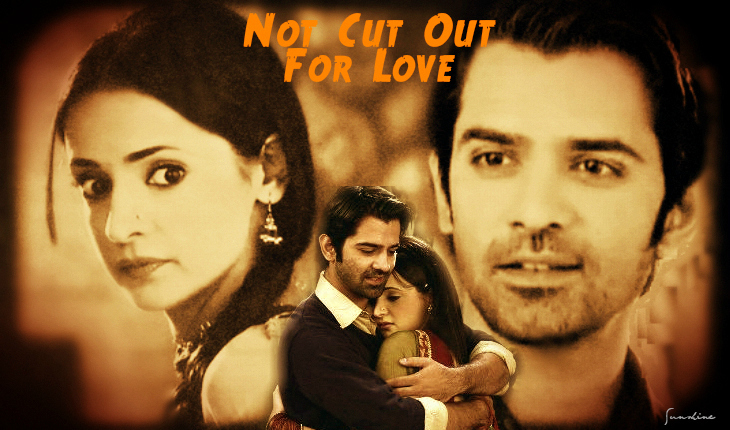 a nerve seemed to be ticking at the corner of his square resolute jaw, khushi’s hand paused and found its way there. asr’s breathing had started going shallow suddenly. he raised his hand and caught hers in a vice like grip. 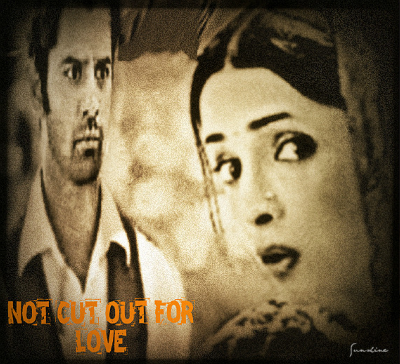 “khushi!” he said in a gritty, husky voice. in his eyes that flame raged, and his breath grew hot where it fell on her chin and neck. khushi moved and rested her head on his chest. she wanted to snuggle there for a while… but what was that loud noise? asr looked at her gravely and nodded. where anger had flashed a moment ago, now laughter seemed to overtake. khushi burst out, “hey devi maiyya, kaisi ajeeb baat hai yeh! aapko bhi acidity aur hume bhi acidity… aap bhi humse pyaar karte hain aur hum bhi aap se pyaar karte hain…” she turned to give him a wide wonder filled stare, blithely unaware of what she had just said. the laughter in him turned to an unfamiliar complete elation. the smile reached his eyes… blazing chocolate changed to molten liquid brown. “say it again…” he commanded, one eyebrow raised, smile beginning to slant, pausing in his tracks, holding her aloft and secure in his arms. “kya?”” khushi asked, her tiny red jhumkas dangling as she shook her head. he watched the jhumkas and the pompoms shimmying, a sense of peace enveloping his chest cavity, it seemed to reach every corner of the cavity wall and settle down. “woh baat…” the smile grew wicked. payal had worn a sunset orange churidar suit and twisted her long dark hair into a simple chignon, fixing a bright orange pin through it. kohl highlighted her dark brown irises, a pale coral lipstick glistened on her generous lips. a pair of orange glass bangles on each arm was all the jewellery she wore. she had chosen a slightly bigger bindi in gold and orange in honour of her date. akash watched the simply and tastefully dressed girl standing in front of the temple as he drove up. he could feel his smile coming on and a lightness in his heart. how little he really knew this girl he wanted to spend his life with, yet he knew she was the one for him… the only one. of course, bhai at this point usually passed a snarky comment. “di, i think we should get an appointment with doctor hussain quickly, we really don’t have much time,” he had said just the other day. doctor anwar hussain was, of course, the most well known psychiatrist in town and one had to wait months for a consultation. di had made an angry hurt face, bhai had raised his eyebrows, stuck his hands in his trouser pockets and sauntered out. akash had just sat there wondering whether he should tell di he might have met just such a girl. he had not been able to forget the dark eyed quiet young woman he had seen that night at sheesh mahal. her eyes glowed, he wanted to see them again. he stopped the car and got out and then before either could think or say anything, he walked over and held payal in a slightly awkward but heartfelt embrace, right there on the road, in front of everyone. “you’re looking lovely, payal,” he said watching her with adoring eyes. payal looked down shyly and smiled, then reached out and held his hand tight. akash wondered what he had done to deserve such a beautiful life partner, such a gorgeous lover. “payal, do you like music?” he asked her suddenly as they drove down toward lodi garden. he wanted to take her for a quiet tea at a small restaurant in golf links, then walk in the lush garden with her, he knew she’d like that. all these years in delhi and he had never found out what exactly were the ruins lending the sprawling park an aura of mystery and history, maybe today he would find out. “haan, yes, i do,” payal smiled. “what kind of music?” akash wanted to know. “oh, i love old hindi songs, babu ji sings talat mehmood’s songs you know, and really have you heard lata ji, asha ji, geeta dutt ji and yes shamshad begam’s beautiful geets… also mukesh ji and my absolute favourite, kishore kumar… mmm, i like many of the new singers too… why, akash… do you like music? i didn’t know…” payal trailed off. akash thought of the doors, bob marley, the beattles, the blues brother, george benson, and smiled brightly at payal. akash stared ahead as he took a deep breath, feeling his heart beat pick up… yes, di was right, such a girl does exist. he so wished he could make her his wife as soon as possible. even today wasn’t soon enough. he watched her standing at the door of the kitchen while she went busily about looking for cups and kettles and things to make him a cup of black coffee. she was barefoot and had tied her hair into a casual handknotted bun, looping her hair then pulling the ends through it to hold it in place. her short, wayward bangs danced all over her forehead. a large bunch of frangipanis were tucked into one side of her bun. a curious feeling buoyed him… he had no idea what it was called. all he knew was he had never ever felt it. in his life. he wondered what this thing called love was. to him it meant this slightly crazy girl, that’s all. he drew her into his arms and stroked her face, her hair, just happy to be with her. he didn’t believe in love. he didn’t believe in marriage. but he did love her. and he damn well wanted to marry her. and if that sounded utterly senseless, he really couldn’t care less. he hoped di would never find out, he smiled wryly, if di got wind of this, he’d never live it down. his smile widened. di will be so happy to see him married. in a flash it all came back. shyam had several wives, di’s marriage was most likely not legally valid. his body tensed. his visage grew grim, a darkness descended, his lips were drawn in a thin straight line. “arnav ji, what’s the matter?” khushi was sitting and looking at him, eyes concerned. asr swallowed hard. she was such an innocent. how would he even tell her about this… how would he tell di. shyam was a scoundrel… but to let such a truth even anywhere near khushi or di? “uh huh!” he gave her playful smile, cocking an eyebrow. “arnav ji! !” she said with a little moue. “yeah… my biggest deal…,” he sat up swiftly and pulled her into his arms and kissed her hard on the lips, then drew away and completed his sentence, “you! a project that has been going on for almost three months and has taken up all my time and thought. do you even know how expensive that is? it’s also cost me my sanity and my peace of mind, and now it’s done, i have won, khushi kumari gupta… you are mine,” he ended on a triumphant note, gave her a sardonic smile, pecked her on her lips which by now of course had formed that familiar “o”, and got up from the sofa. he would have walked away but a warm soft hand tucked into his palm and pulled him back. 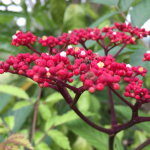 the candles floating in the large shallow urli brimming with krishnachura flowers threw leaping shadows on the wall. he turned back and found khushi sitting there looking at him, holding his hand, her hair mussed and falling down to her waist, her dupatta had slipped off her shoulders, the pearls were creamy against her skin. he wished he could forget everything and spend the night making love to her right here. a craving rose, a longing… their eyes met and neither said a word. he knew he could not. he had to tackle this issue of shyam, talk to di if need be. above all he knew what was bothering him too was the fact that he really could not marry while things were in such a messy state. paradoxically, all he also wanted to do was just go with khushi right now to wherever one went for such things and marry her… make her his. then she stood up and put her arms around him. no demand in her body, no expectation. asr’s arms went around her and they stayed like that for a while. later they walked in the garden. he watched riveted as she lifted her lissome arms, pulled back her hair, turned and twisted it into a skein and made her bun. her profile was silhouetted against the setting sun, the kurta pulled across her chest as her arms moved, again he felt that stir of desire… and looked away. he liked the way she squirmed when he put the flowers in her hair. he had of course flown out those six feet frangipanis from bali, somehow they had to be in his garden now, along with the krishnachura. some things just feel right. a good sense of design really means you know what sits right where. he told her about shyam. “maaf kar dijiye, arnav ji…,” khushi sounded contrite, she had spoken without thinking. “shh… sh,” he held his index finger against her lips, “don’t apologise… it’s not your fault… i didn’t want to let anything of this sordid filthy thing touch you… or…” he was sounding wretched. khushi’s eyes searched his face… she couldn’t see her arnav ji hurt… or down… or in any way troubled. asr wondered why those simple words made him feel more centred suddenly. yes, he would tackle the whole situation… of course he would. looking at her he had the most baffling desire, he wanted her to make him his cup of coffee. he wanted to see her boil the water for him, take the right amount of the coffee he liked and put it into the stainless steel espresso maker, pour steaming hot water into the lower chamber, wait for the coffee to get ready and pour it out for him. he wanted to take the cup from her hand and look into her eyes as he took the first sip. really, he was not making any sense he knew. a part of his mind suggested maybe he needed a consultation with dr anwar hussain. “will you make me a cup of coffee, khushi?” he asked, and swallowed, his heart beginning to race. she was now pouring the coffee carefully into his mug. he was transfixed by the sight. she stirred the hot liquid with a spoon, said to herself, “chini nahin!” and smiled. suddenly he was almost delighted he was diabetic. the aroma of fresh coffee filled the air… rich, seductive. she came over and handed him the cup. without taking his eyes off her face, he lifted the cup and took a sip. it was hot. it almost scalded his palate. he didn’t care. she looked so beeeautiful standing there waiting to see how he liked what she had made for him. he smiled and said, “excellent!” in a crisp tone. “of course, you are! you must blow on hot food and cool it before putting it in your mouth, you don’t even know this much,” she retorted tartly and walked off. he really wanted to marry her suddenly, right now. in the suv going back, it unexpectedly came to him… the perfect solution. he would tell di about shyam. and he knew how terribly affected she’d be but she’d still insist that everything had to go ahead… no celebration would be marred this time. he knew much as he wanted to be with khushi, he could not marry while di was not feeling strong, healed. “arnav ji, how can we get married while di is not feeling happy, settled… and how can you insist you will marry me in the middle of this?” she frowned at him. she had no idea how much like a wife she sounded. asr felt a little smile stealing to his lips… he seemed to have heard that tone of voice before… there was something indestructible in that sound… mere infidelity couldn’t mar it. 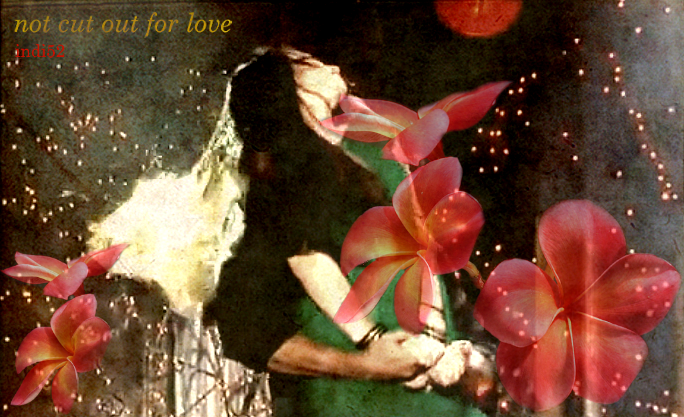 And of course the icing on the cake… The unbelievable, scorching yet natural chemistry! P.S. 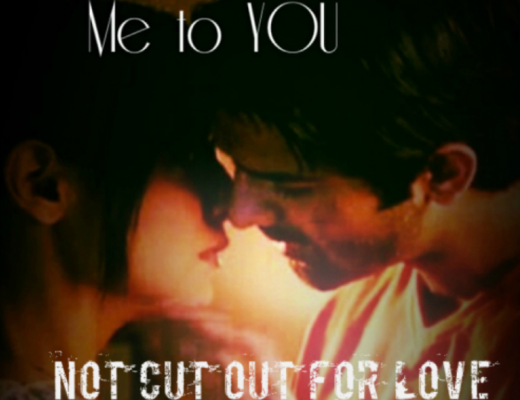 I think your ASR has pretty much matched the number of times that the Arnav in the show carried Khushi. poor asr, all that carrying the perpetually eating off centre ladki. thanks so much… loved you “just a little off centre.” my state when i write or think ncofl… am pretty sure it was the state of ipk writers too in the beginning, and most of the time. WHAT DID HE SAY? I misread! Oh really? I can’t wait to see her response to this asinine suggestion. Darn it! And he had been doing so well!! Sigh… Men! yeah… men. 🙂 🙂 🙂 and that man. And how nice it would be if people have such understanding to know what’s going on in other’s life..He didn’t expect her to find&definitely not to share his pblm..Yet she knew him and made him share.. Ajeeb!! I’m the ajeeb one here !! haha..
thanks, gprs… you make me want to read the chapters again… and i do. 🙂 hum bahut hi ajeeb hain. hehehhe. glad you enjoyed the scenes. if i rushed akash payal a little, apologies. i guess the laad governor and sanka devi just can’t bear to have me looking at anyone but them. it’s all their galati.